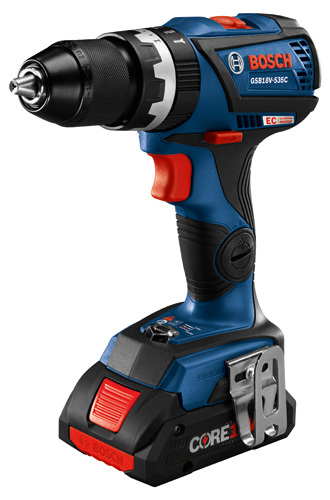 This Bosch hammer drill is engineered for tough jobs, with next-gen convenience and CORE18V power. The GSB18V-535CB25 18V EC Brushless Connected-Ready Compact Tough 1/2 In. 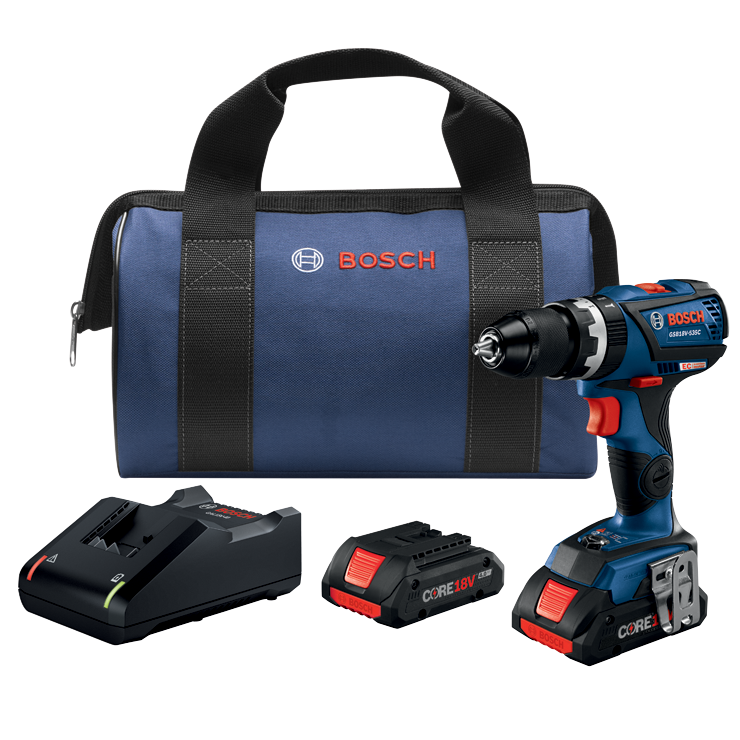 hammer drill kit features a tool with Bluetooth® connectivity (which connects with an optional Connectivity Tool Module), linking the free Bosch Toolbox app on any connected device for enhanced tool control and feedback. The kit includes two next-gen CORE18V 4.0 Ah compact batteries. Each keeps the power and runtime, while losing the weight, with 21700 cell technology. The CORE18V matches the power of the original two-layer 4.0 Ah battery with half the number of cells. It features the CoolPack 2.0 heat-management system. 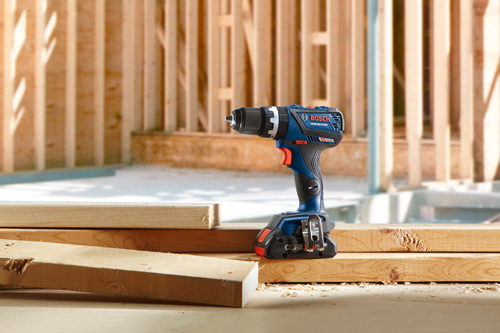 This hammer drill’s powerful EC Brushless motor delivers 535 In.-Lbs. of torque and 0-28,500 bpm. It has variable speed settings; one for high-speed (0-1,900 rpm) and one for high power (0-600 rpm). 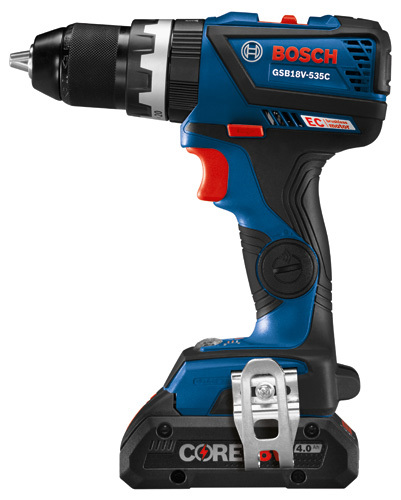 The cordless drill has KickBack Control to reduce the risk from sudden rotational torque reaction, a 20+1 precision clutch; an all-metal chuck that provides durability and a longer belt clip.